Easter pie is a traditional Italian dish served during the holiday that is can be prepared either sweet or savory. 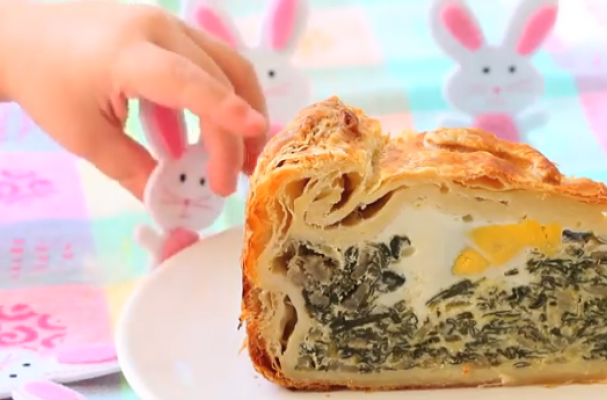 This version is filled with ricotta cheese, spinach and hard boiled eggs. Feel free to add other spring vegetables like artichoke hearts or asparagus.